The Oakland Raiders improved lately as they recorded two wins in the last three games but they will still finish at the bottom of the AFC West and are huge underdogs in the upcoming clash with the divisional rivals Kansas City. On the other hand, the Kansas City Chiefs lost the previous two games but they are in the position to clinch the AFC top spot with a win here, which would be the second victory over the Raiders this year after defeating them in Oakland, 40-33. Oakland managed to surprise the Pittsburgh Steelers and Denver Broncos at home in their last two games in front of their own fans as their defense was particularly pleasing, allowing 35 points in the process. The Raiders completely stopped the Broncos in the opening half, keeping the visitors off the scoreboard and scoring 17 in return, and although Denver responded in the second 30 minutes, it was too late to make a comeback and Oakland got a deserved, 27-14 victory. Oakland couldn’t get their passing offense going but running back Doug Martin collected 107 yards on the ground and scored a touchdown and he could have another 100+ yard display against Kansas City that is allowing 132.5 yards to the opposing runners. "You see the love affair these fans have with the Raiders." Derek Carr is completing 68.7 percent of his passes for 3864 yards with 19 touchdowns and eight interceptions for the Raiders. Carr had a quiet game in a win over the Broncos as he threw for 167 yards on 19 completion sand without touchdowns but will have a good chance to bounce back in a favorable matchup with the Chiefs who are allowing 280.6 yards to the opposing QBs and receivers. Kansas City made life harder for themselves after losing the previous two games to the divisional rivals Los Angeles Chargers at home and most recently, the Seattle Seahawks on the road. The Chiefs must win here in order to secure the top spot in the AFC and home-field advantage after losing to the Seahawks, 38-31. One of the best passing offenses in the NFL was rolling again as the Chiefs recorded 265 yards and three touchdowns through the air, while Damien Williams rushed for 103 yards on 13 carries and also added a receiving touchdown after connecting with Patrick Mahomes for a 2-yard score in the second quarter. Oakland has the 30th defense against running that is averaging 143.3 yards to the opposing runners, so Williams, Mahomes, and Charcandrick West should combine for around 150 yards in this one. Patrick Mahomes is completing 66.4 percent of his passes for 4816 yards with 48 touchdowns and 11 interceptions for the Chiefs. Mahomes had an excellent showing in a loss to the Seahawks as he threw for 273 yards and three touchdowns and it’s interesting that two of his three TD passes went to the running backs Williams and West. Tyreek Hill, Chris Conley, and Travis Kelce will have a great opportunity to find the end zone and combine for over 200 receiving yards as the Raiders are allowing 236.2 to the opposing receivers. Kelce is the player to watch as he needs 54 yards to become the tight end with the most receiving yards in one season in NFL history. Kansas City won eight out of the previous ten H2H encounters including seven out of the last eight, while the Chiefs were victorious in the past five meetings at the Arrowhead Stadium. Home team is 4-0 ATS in their last four meetings and the Raiders are 1-4 ATS in their previous five duels in Kansas City, and the Chiefs will be highly motivated to end the regular season with a win at home and secure the top place in the AFC. 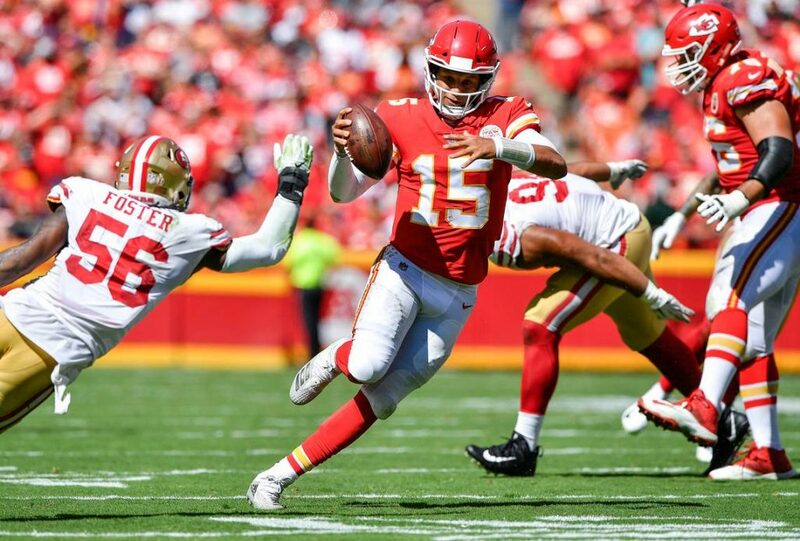 The -13.5 spread might seem high considering Oakland’s form of late but Kansas City should beat them by at least a couple of touchdowns difference, and I am backing the NFL’s best offensive team (35.3 ppg) to cover the spread and get a win here. The total is set at 52.5 and these teams already combined for an astonishing 73 points when they previously met in Oakland and although I don’t expect to see 70+ points in this one, I am going with over because over is 5-0 in Chiefs last five games overall, over is 5-0 in Chiefs previous five games following an ATS loss, while over is 4-1-1 in Chiefs last six vs. AFC West opponents. Also, over is 5-1 in Raiders last six games after allowing less than 15 points in their previous game and over is 34-15-3 in Raiders previous 52 games following an ATS win.